Cañon City Schools believes the development of certain traits and skills will best prepare our students for ever-changing careers. Kudos are due TechStart’s Alan Buller. Mr. Buller is one of the primary supervisors of our high school P-TECH student interns. Last summer Mr. Buller submitted a proposal to present his experiences working with Cañon City High School students at the SXSWedu (South by Southwest Education Conference). He said, “with over 1900 proposals submitted, I did not expect it to be selected, but it was!” Thus, Mr. Buller will be presenting on the topic “P-TECH Partners Reverse Rural Talent Pipeline” early next March in Austin, Texas. Though Alan doesn’t work directly for us, he certainly exemplifies our third core belief in that we are future-focused, believing the development of certain traits and skills will best prepare our students for ever-changing careers. I also want to lend a shout out to the Cañon City Middle School 7th grade team this week for actively engaging in peer-to-peer walkthroughs. This is an opportunity for teachers to observe their colleagues for the purpose of improving their instructional practice. Their main purpose was to see how their students behave for other teachers, to observe effective instructional techniques used by grade level teammates, and to show off their instructional skills to their teammates. CCMS Principal Jesse Oliver said of this effort, “thank you for being the first to participate in this work, I believe it is quite valuable for you to be able to see how students act and engage between the classes, what techniques you each use to engage them ,and how those may be shared and used as common language across the team.” Teachers take no greater risk than when they open themselves up to being observes by their peers. Thank you all for exemplifying our second core belief, that growth matters most, and requires a bit of risk-taking. Director of Human Resources Misty Manchester explains why Cañon City Schools is such a great place to work. Last week Director of Human Resources Misty Manchester and New Teacher Support Coach Jamie Davis attended the University of Northern Colorado job fair seeking to establish relationships with teacher education candidates who will be graduating this spring. 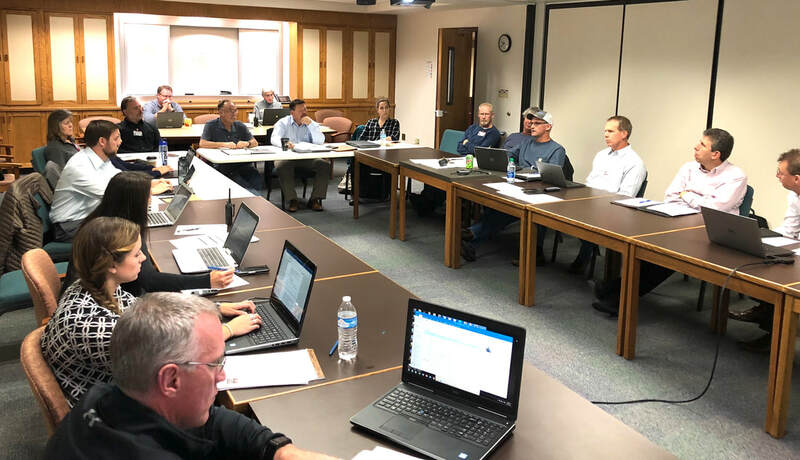 Instructional Technology Coordinator Daniel Coppa and Assistant Superintendent of Schools Adam Hartman recently conducted a Fall Review of our use of the learning.com resource. They were impressed both with our usage as well as our student performance on assessments. More than 170 Cañon City Schools students participated in FEDC's Dream Big event last Friday in Florence. 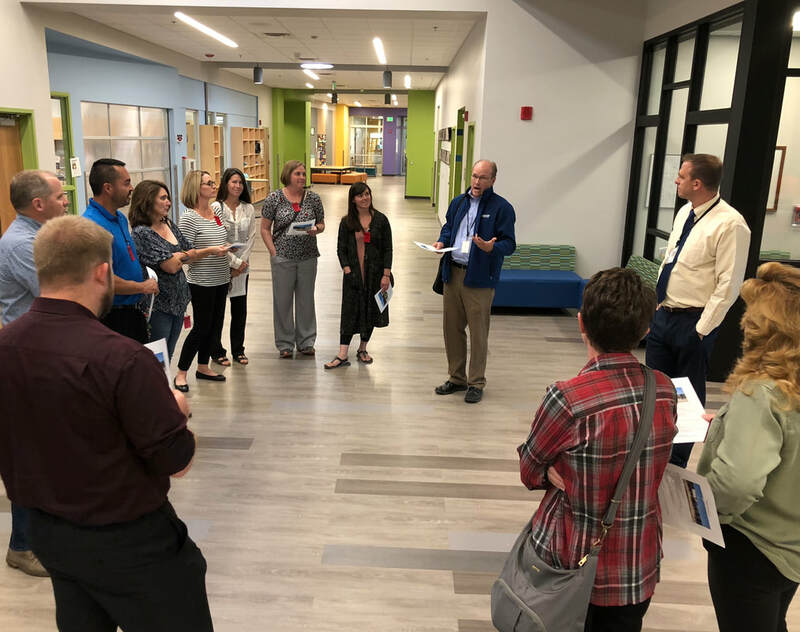 Washington staff representatives toured Douglass Elementary in the Boulder Valley School District to learn about creative breakout spaces. The process of designing our buildings has advanced extensively on two fronts. Last Wednesday we answered a bunch of questions regarding our priorities and targets related to achieving LEED Gold sustainability status. Doing so is required through the BEST grant process. I appreciate the participation of our key members of our operations crew in this process. Meanwhile, floor plan designs have advanced to the point where our next design meetings at each school will focus on space detail. This will occur in day-long sessions where staff will have the opportunity to offer their opinion on what is needed in each instructional area. We had quite a room full at our construction LEED meeting last week. On Monday I accompanied the Washington Elementary Design Team on school visits related to our construction project. I returned to Cañon in time for a board work session and meeting. On Tuesday I held an expulsion hearing, a McKinley Turnaround support team meeting, and participated in an Instructional Leader PLC. On Wednesday I started my day at a McKinley staff meeting, then attended a three hour-long Construction Projects Meeting before ending the day with a Washington Design Team meeting. On Thursday I was in Denver all day for CASE Superintendent of the Year finalist interviews, and on Friday I poked in on the Dream Big event sponsored by the Fremont Economic Development Corporation and hosted at Florence High School. Last week McKinley staff and students honored local first responders. I’ll start this week with a McKinley SupportTeam meeting and the meeting on Monday morning, a federal programs application revision session, and a meeting with Fremont County Department of Human Services leaders. On Tuesday we'll hold a Superintendent’s Advisory Council meeting, and a meeting about our future use of Technology Labs. We'll also hold a full day design session at CCMS. On Wednesday I’ll work with our board directors to prepare for an upcoming Board Candidate Development Academy. I also have an expulsion hearing that day and time set aside to visit with Harrison Principal Marne Autobee. On Thursday we have our next IBS session on Attracting and Retaining High-Quality Staff. My schedule for Friday is still pretty open right. Andrew is a 3rd Grader at CES. I have no doubt that with his positive attitude about school Andrew is having a great year!